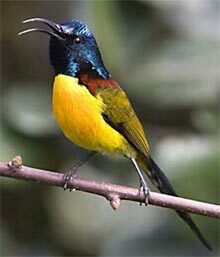 Bhutan to exclusively specialize in birding tours. 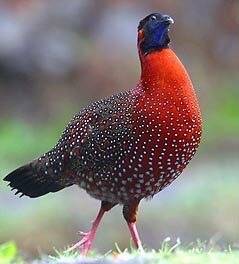 Whether you are an ornithologist, a naturalist, a casual birder, or a bird photographer, Bhutan Adenture Silk Road has the ability to cater to all your birding interests. Bring your binoculars and let Adenture Silk Road organize your bird watching tours to the Kingdom of Bhutan - where the White-bellied Heron feeds by the Pho-chu river; where the Black-necked Cranes spend their winters in the high mountain valleys scattered throughout central and eastern Bhutan, and where the Beautiful Nuthatch hides in the tall forest cover. 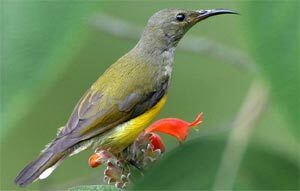 With a high concentration of bird species in a relatively small country, the vibrant sounds and colours will dazzle your senses. All our scheduled trips are exclusively designed to maximize the number of bird sightings during your trip. Our experienced guides, small groups, strategically located private lodges (to be constructed soon), and our Bhutanese charm will leave you longing to return to Bhutan again and again. Join a group or, if you are looking for an even more intimate holiday, ask for our private trips which will be designed and conducted specifically to cater to your individual desire. The vegetation varies dramatically over short distance, ranging from tropical broadleaf to temperate conifer forests, to alpine shrubs and meadows. In addition, a rich assortment of medicinal herbs dot all over the country as do over 600 species of rhododendron. These forests provide habitats for a variety of faunal species such as tigers, elephants, greater one horned rhinoceros, golden langur, blue sheep, musk deer, wolves, leopards, takins and a host of other creatures, many of which are listed as threatened or endangered.